Mission: The Office of Space Planning and Capital Projects provides architectural and planning services in support of the College’s educational goals and mission. 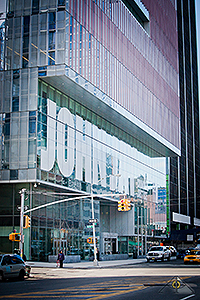 Through planning, design, management, building expansion and renovation projects, we serve to accommodate the academic and administrative programs and priorities of John Jay College. We function as the liaison between CUNY, New York City and New York State Agencies, Consultants, contractors and our Campus Community, in guiding the process and facilitating the planning, design, and construction of new facilities or renovations. Our goal is to insure that new space created meets the programmatic needs of the building users and contributes to the overall campus environment, and to provide a welcoming, safe, and attractive campus that is in compliance with all applicable laws, regulations, and policies. Our aim is to make the academic and work experience at John Jay a successful one.